This home sits surrounded by trees in the woods. The paved driveway takes you all the way to the front door, through beautiful trees and past the trickling branch. A detached two car garage is great storage for your vehicles and fantastic workshop/man cave. Access to home on main level and basement level! Main floor has beautiful, light filled great room, open floor plan, a bathroom and bedroom, and a bonus room for a den or an office. Master suite upstairs in loft is enclosed. Finished basement is great guest quarters, or easily turned into an in law suite. 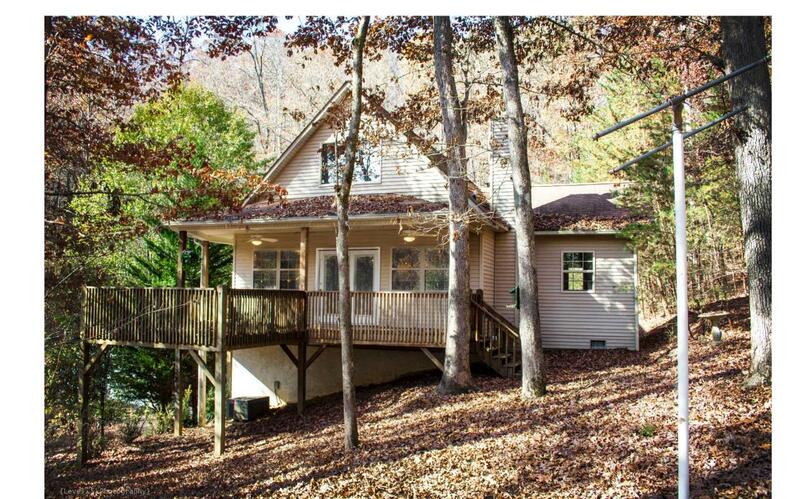 Enjoy the privacy, and the fire pit, all close to Fires Creek, Downtown Hayesville, and the John C. Campbell Folk School!